If it hadn’t been for the lovely people at Telegram Books emailing me to see if I would like to read any of their books then I would quite possibly have never read Memoirs of a Midget and yet it is a classic, one maybe many of us haven’t heard about but a classic never the less. I actually thought from the cover it was a very new book, it turns out it’s just a new edition. I hadn’t heard of Walter de la Mare but doing some research I found out he lived from 1873 until 1956 and he was a well loved and respected poet. This was his fourth book was published in 1921 and won the James Tate Black Memorial Prize for fiction. Already before I had read a single page I was intrigued by what appeared to be a forgotten classic. Though I admit I have never read a Dickens (though I have seen many on the television – which I know isn’t the same) or read any Thomas Hardy I have had quite a few on audio book. In fact from around the age of around ten until around fourteen I loved nothing more than listening to Tess of the d’Urbervilles and often. The reason I mention these two authors is the fact they have written great books with a huge landscape of characters and that is just what Walter de la Mare does in this novel. ‘Memoirs of a Midget’ is the life and times of Miss M, told by none other than Miss M herself. Born from two ‘non-midget’ parents we follow her through her childhood and then through her early adult life and onwards after her parents both pass away. 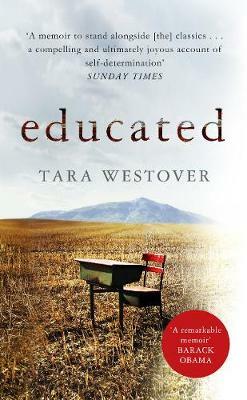 This indeed is mainly a book about how society deals with people who are different and looks at how Miss M is vilified by some, loved by others and isolated by many, written in the time it was it somehow doesn’t seem to have aged at all and in some ways could have been written quite recently. For me the tell tale signs it was a much older book were of course the fact that technology wasn’t up to date but there were other signs that it was a classic like the names of characters such Pollie Muggeridge or Lady Pollacke. There are many other wonderful characters with no actual name just a Mr or Mrs and then a wonderful surname like Bowater, Hubbins or Crimble. All these characters were wonderful and added to the density and panorama of the book which has a huge scope and travels around Britain as it goes leading up to Miss M’s arrival in London. My favourite character partly because she was so bolshie, lovely and then suddenly serpentine was Fanny Bowater (every great classic has a character somewhere in it called Fanny, honestly, you have a think) who in some parts actually stole the show (literally) completely from Miss M.
Miss M is a fascinating character though, for a while I got slightly annoyed I couldn’t work out exactly how tall she was or wasn’t as it made her hard to visualise but eventually I worked it out and from then on was completely swept along by her story. I found the tales of the people she met and how they reacted to her and the fact she was so different very moving, occasionally funny and always touching. If you like big great long adventures with one protagonist as they struggle through the highs and lows of their life then this book is definitely one for you to read, I thoroughly enjoyed it. This book has left me really wanting to dig out more classics; I need to get my hands on a copy of Tess of the d’Urbervilles sharpish, until then though what next? 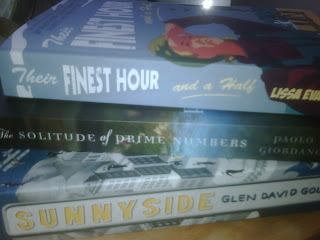 I think its time for me to get some short books read. I have loved being totally swept away for pages and pages by such wonders as this and of course The Blind Assassin but I do think I need a few shorter reads just for a few days, I have no choice as the next Savidge Big Weekender fast approaches with The Name of The Rose as the next choice, do let me know if you are joining in on that one. So short books and novella’s… what would you recommend? You all know I always love to get your opinions. Maybe I am in the mood for a guilty pleasure, why I call them guilty pleasures I have no idea, I feel no guilt when reading them, none whatsoever. And of course do let me know what you think of the sound of Memoirs of a Midget, you never know Telegram could contact you… they found me through my comments on another book blog! Not Delivered By Stalks, But By Telegram & Dove(greyreader)… And Through BAFAB Week Through Me Too! One thing I have loved about blogging about books is all your feedback, comments and thoughts. I don’t get paid to do these reviews or anything of the like I just LOVE books. So imagine my suprise when on my birthday last week I got a lovely email from Telegram Books who “publish the best in new and classic international writing, from debut novelists to established literary heavyweights. Telegram has brought cutting-edge and authoritative voices from the UK, Spain, North Africa, Korea, Hungary, France, China, the Middle East and beyond” . I admit I hadnt heard of them as a publisher (sorry) but as soon as I started reading their catalogue I recognised their books. Whats more was that they were wondering if I would like to have some review copies of my choice that if I loved I could pop on here. Well what do you think I said? They arrived this morning! 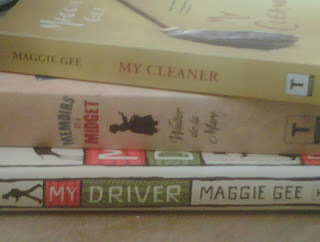 I chose The Cleaner and My Driver by Maggie Gee because I had heard her interviewed on Open Book on Radio 4 which is one of my Sunday morning pleasures, I would kill for Mariella’s job. I also liked the idea of novels written by characters who know their employers every little secret which these books, as they are a series, seem to do. Memoirs of a Midget by Walter De La Mare was another book that I instantly thought I would love “Miss M., a pretty and diminutive young woman with a passion for shells, fossils, flints, butterflies and stuffed animals, struggles to deal with her isolation from the rest of society due to her extraordinarily small size. When her father dies, she must make her own way in a world that treats her as an entertaining curiosity, a momentary diversion from the game of making ones way up the social ladder. An elegiac, misanthropic, sometimes perverse study of isolation, de la Mare’s prize-winning classic seduces by its gentle charm and elegant prose.” So a big thank you to the lovely people at Telegram, very, very kind. Now there of course has to be a negative in the week and bar the fact I seem to be blogging very late in the day this week which will stop, or the fact that I havent picked up The Cellist of Sarajevo yet as I started a Patricia Cornwell I picked up in a charity shop – don’t you hate it when you have saved the start of a book for a long tube/bus/train/plane journey get to the station/airport/stop and realise you’ve forotten it then you thankfully seea charity shop on the corner! 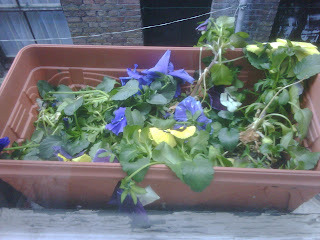 No it is none of those… the big negative of the week is the fact that the flying rodents of London have been using my wonderful, grown with real love, Winter Pansies as a runway/landing pad! Now there could have been quite a sulk (like when no one comments on my blog hahaha) and some distress at this, well ok there still was a bit but it was softened when I then got another email entitled ‘Belated Birthday Present’ from the lovely Dovegreyreader! She had seen this post and had a spare copy of The Enchantress of Florence by Salman Rushdie and has posted it as a birthday treat, I cant wait for that bundle to arrive I have heard wonderful things from people I trust book recommendation wise, the reviewers were very anti this book when it was long listed for the Man Booker. This was such a kind thing of her to do and I was amazed that she was even reading my blog as I am very fond of hers, so another thank you! Thats something I love about Book Blogging and Book Bloggers, no not the free books, the relationships and friendships I am slowly but surely building. So in honour of all that I am joining in with all the Buy A Friend A Book Week high jinx and will be giving a copy of one of my highly rated reads… am just deciding which one. so lets say like Juxtabook its a surprise, but a very nice one! Here is my question though to qualify… and its a toughy… “If you were stuck on a desert island and you only had one book to read that you havent read yet, which would it be?” So if you fancy it let me know on here and the Non-Reader will pick out the winner Wednesday!